Alger, J. I. 1975. Antoine-Henry Jomini: A bibliographical survey. West Point, N.Y.: U.S. Military Academy. Brinton, C., G. A. Craig, and F. Gilbert. 1943. Jomini. in Makers of modern strategy, ed. E. M. Earle, pp. 77-92. Princeton, N.J.: Princeton Univ. Press. Connelly, T. L., and A. Jones. 1973. The politics of command: Factions and ideas in Confederate strategy. Boston Rouge, La. : Louisiana State Univ. Press. Hittle, J. D. 1975. The military staff: Its history and development. Westport, Conn.: Greenwood Press. 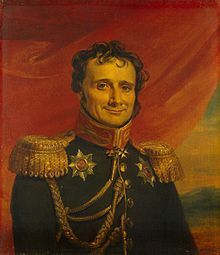 Jomini, Baron de. 1862. The art of war. Trans. G. H. Mendell and W. P. Craighill. Philadelphia, Pa.: Lippincott. Shy, J. 1986. Jomini. in Makers of modern strategy, ed. P. Paret, pp. 143-85. Princeton, N.J.: Princeton Univ. Press. Weigley, R. F. 1973. The American way of war, A history of United States military strategy and policy. New York: Macmillan. Williams, T. H. 1981. The history of American wars, from 1745 to 1918. New York: Knopf.